“Life is short, eat dessert first” - something I’ve done after succumbing to temptation too many times. 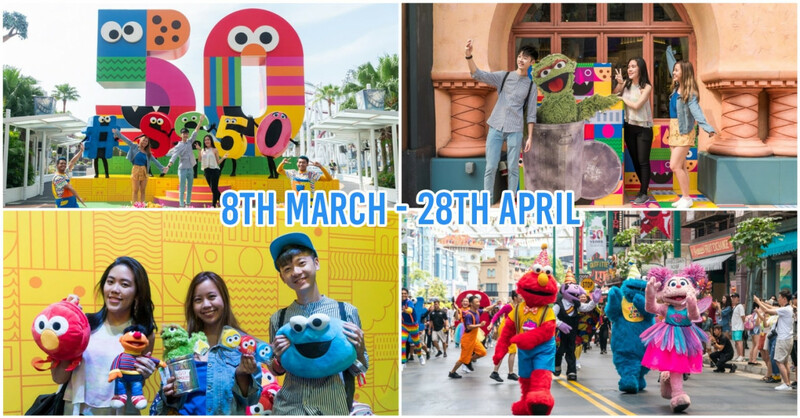 Fellow sweet tooths will agree that the best part of a meal is dessert, and in this foodie paradise of Singapore, we’re definitely not short of yummy desserts to fill our tummies with. 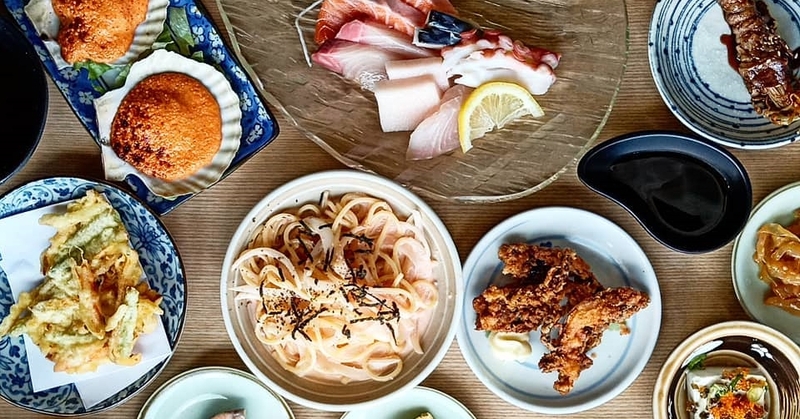 136 Calories doesn’t sound like much, but when it comes to ondeh ondeh, no one just stops at one. The best way to enjoy it? 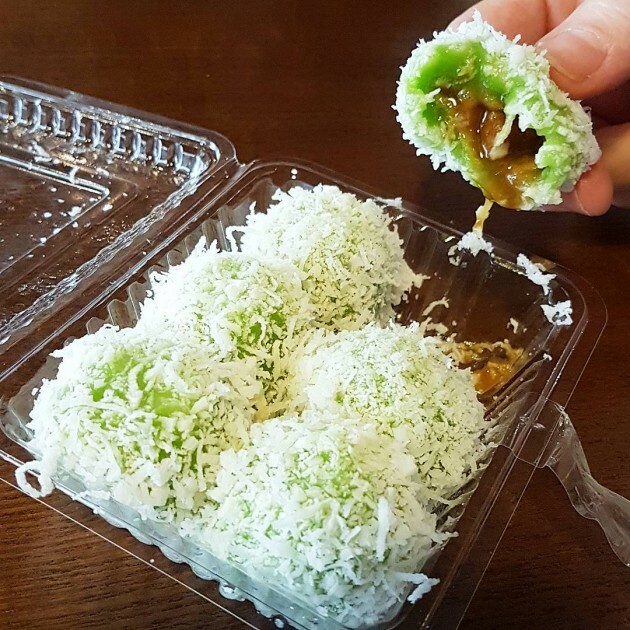 Pop the whole thing in your mouth and anticipate the sweet, sweet explosion of gula melaka syrup bursting out of its chewy skin and coating your tongue. Ahhh, truly foodgasmic. So well-loved is this coconut-coated treat that there are now many ondeh ondeh flavoured desserts out there, from cupcakes to macarons and even mooncakes. 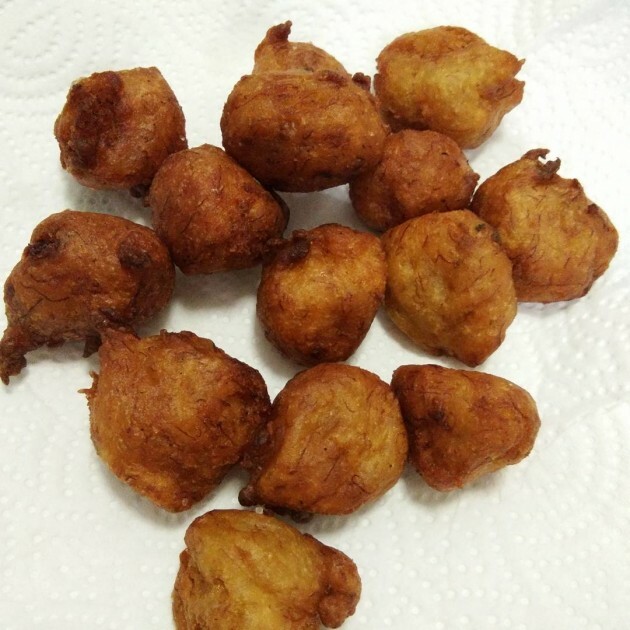 When I need to meet my fruit intake, I always turn to these yummy fritters. Okay, I kid. But I’m simply bananas (pun intended) about these deep fried banana balls. The thing with jemput pisang is that once you pop, you can’t stop, and finding out how one piece is over 200 Calories is certainly a devastating discovery for all of us. Also known as jemput jemput or cekodok pisang, these glorious golden balls are usually made from overripe bananas that otherwise may not be enjoyable to consume on their own. Culinary upcycling at its best! 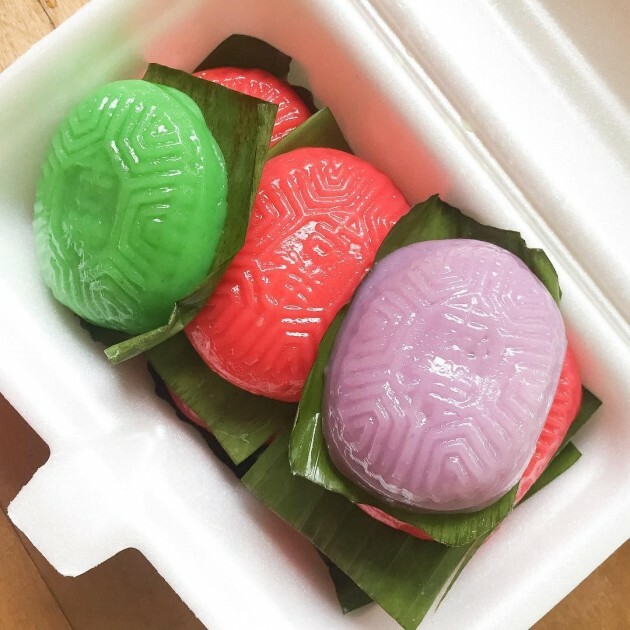 Directly translated to “red tortoise cake”, ang ku kueh is named as such for its resemblance to a tortoise’s shell. In Chinese culture, tortoises are symbols of longevity, so these kuehs are often seen during celebrations like newborns’ first months. Red ones with sweet green bean paste filling are the most common, but there are others with salty green bean, red bean, peanut, and coconut too - usually differentiated by other colours of glutinous rice skin. 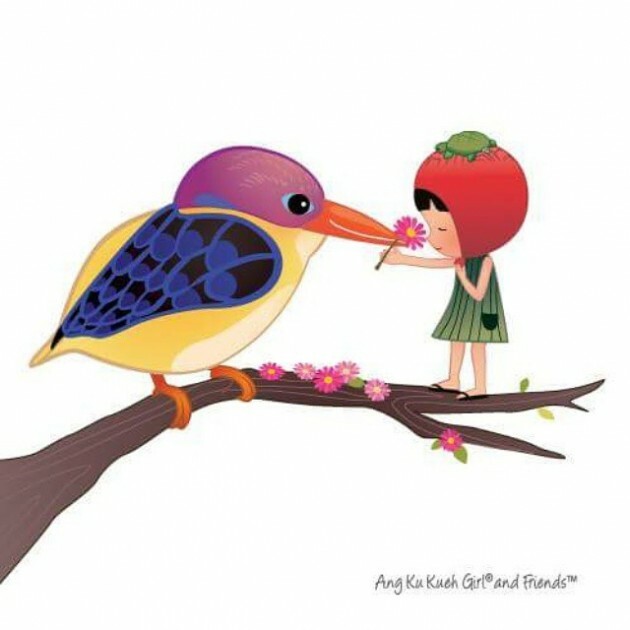 For some reason, there have been lots of ang ku kueh products from cushions to earrings popping up in stores lately, and even a cartoon character - Ang Ku Kueh Girl - inspired by the sticky confection. 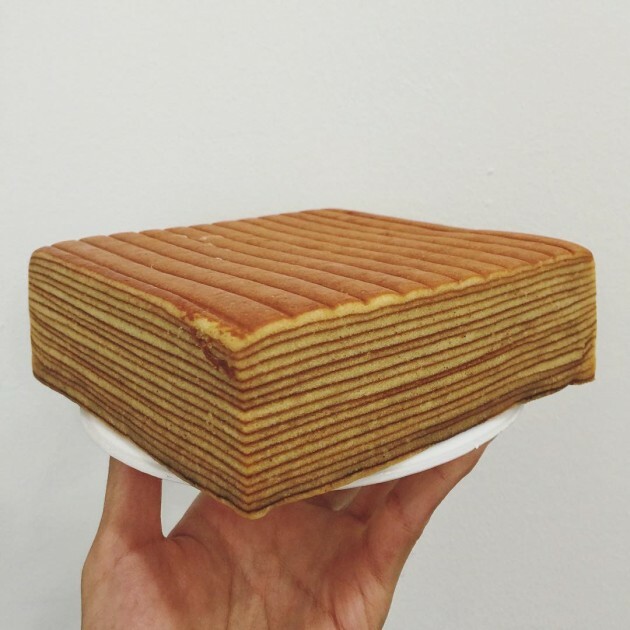 Not to be confused with its sticky steamed counterpart, baked kueh lapis is a butter cake that’s painstakingly baked layer by layer to achieve its lined design. If this isn’t craft, I don’t know what is. Hard to believe that just one little slice of this would add nearly 240 Calories to your body, but I once watched my grandma baking kueh lapis and she put more than a whopping 20 egg yolks in it! Now we know why it’s got such rich flavour. 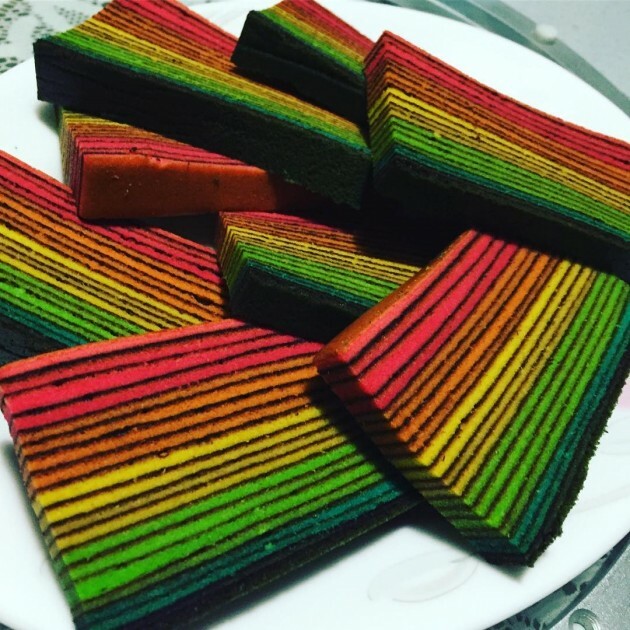 These days, many are taking their kueh lapis game up a multicoloured notch after being inspired by the rainbow dessert trend. 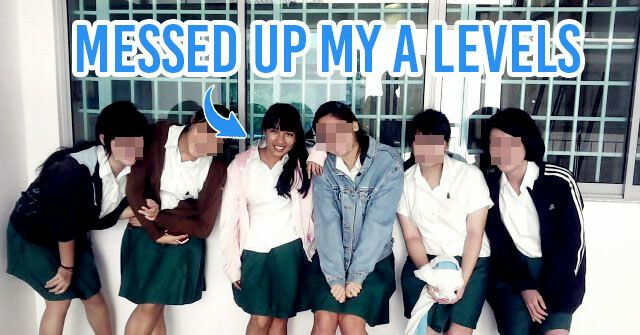 That’s some real dedication to keeping #aesthetic right there! Before the bingsu craze took over Singapore, there was our old friend, ice kacang. 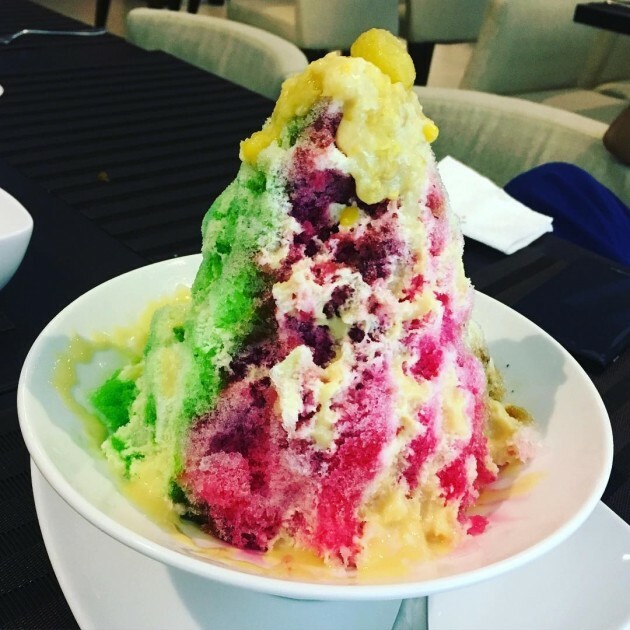 At first glance, it just looks like a mountain of shaved ice drenched in colourful syrup, but dig deeper and you’ll find red beans, jelly cubes, corn, and sago hiding beneath. Super authentic ice kacang has attap chee in it too, and discovering a few of those palm seed gems is always a silent victory for me. In the olden days, ice kacang was served as a giant ice ball. Most traditional dessert stalls today offer the option of having mango or durian puree poured over your ice kacang for a small added fee. Of course, that extra yumminess also comes with extra calories. A close cousin to the dou jiang you tiao (soy bean soup with dough fritters) that JJ Lin sings of is tau suan, a warm mung bean paste. 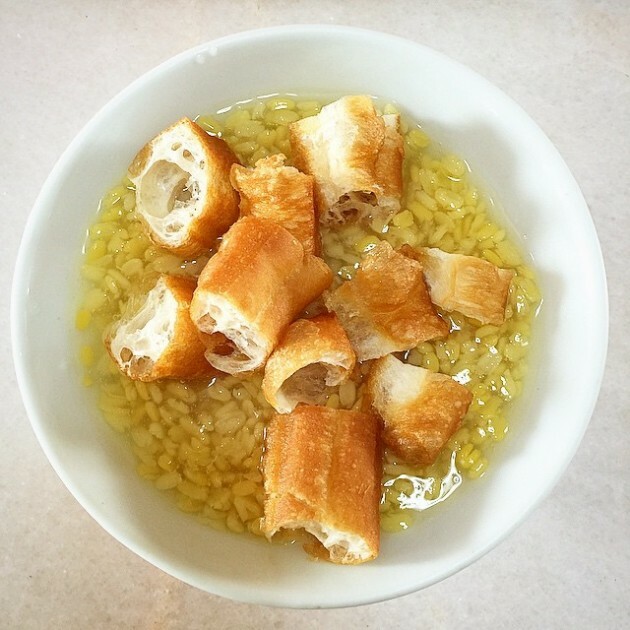 I like to pick out the crispy you tiao pieces and eat them first before they get soggy, though some people prefer to mix everything up and savour the doughiness of the you tiao together with delicious gooey bean paste. Mung beans alone are nutritious and a high source of fibre. But when made into this starchy sweet dessert, it’s anything but healthy. Needless to say, the you tiao doesn’t help either. Oh well. Confessions of a suaku: I have enjoyed this fluffy treat for breakfast countless times, but never knew it was called mee chiang kueh. But whether you refer to it by its traditional name or simply as a “pancake”, we can all agree that mee chiang kueh provides a nostalgic comfort that ang moh pancakes at hipster cafes cannot give. 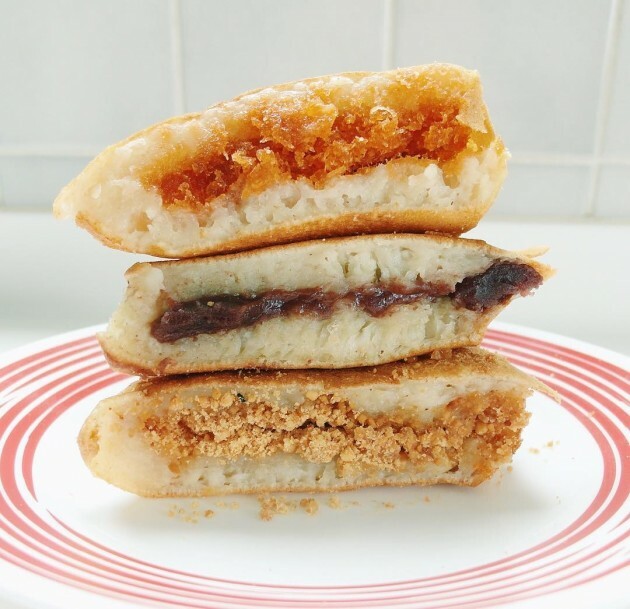 Most popular among Singaporeans is the one with a crushed peanut filling, although there are other fillings like red bean and grated coconut with palm sugar too. No prizes for guessing which one’s the most fattening out of the lot! Don’t fool yourself with the thought that pulut hitam is healthy just ‘cause it’s made from black rice. 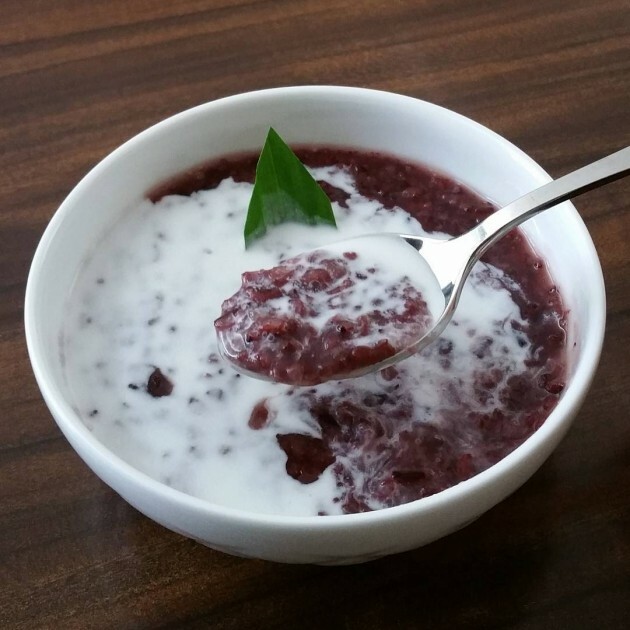 Unfortunately just like how chendol isn't good without gula melaka, pulut hitam isn't complete unless it comes with a generous serving of coconut milk or coconut cream - otherwise it’s pretty much just black glutinous rice porridge. This rich dessert that’s chock-full of palm sugar can be enjoyed both hot or cold, and is often served with pandan leaf for added fragrance. 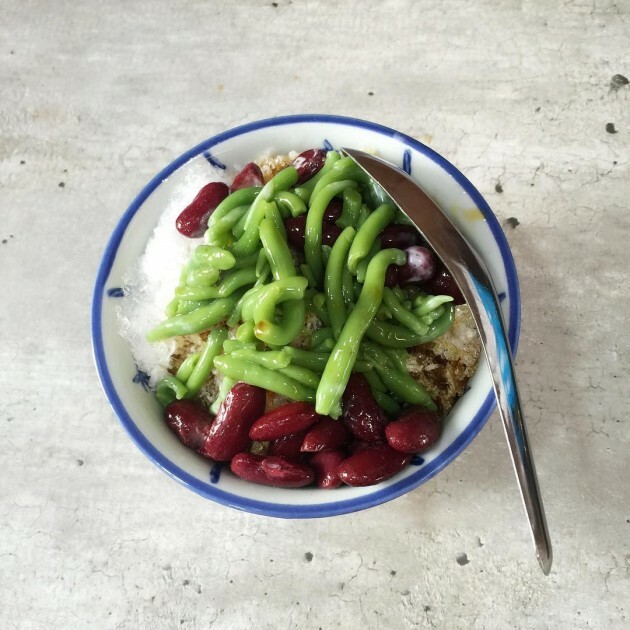 To others, this shaved ice dessert topped with kidney beans and thick green rice-flour strands can appear daunting, frightening even. But we Singaporeans know that chendol is of the most shiok icy treats to indulge in on a hot afternoon. As a child, I always amused myself with the fact that I was eating “worms” and relished every sweet, gula melaka-infused mouthful. Sometimes, instead of in a bowl, chendol is served in a cup as an ice-blended drink. These boiled “Chinese mochi” balls seem innocent enough, but gobbling down 4 of them at one go will have you ingesting more calories than you would with a set of McD’s hotcakes, complete with butter AND syrup. 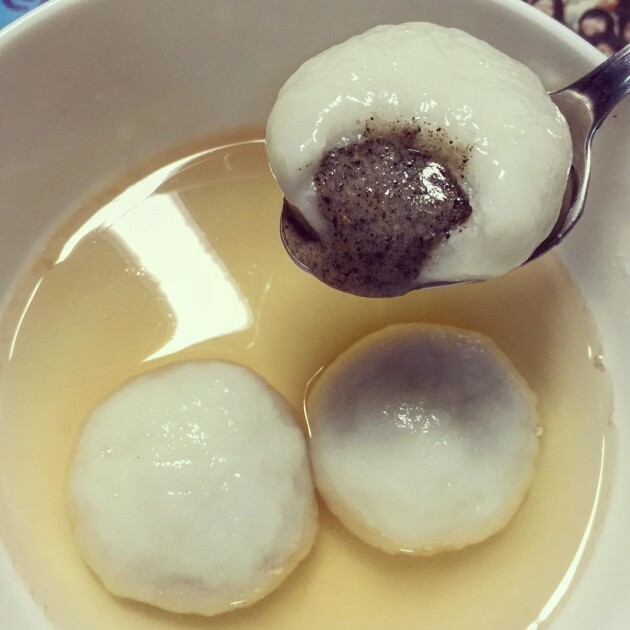 The high caloric content in tang yuan can mostly be attributed to its glutinous body, though the fragrant pandan soup-syrup is partly to blame too. Traditionally, tang yuan are reserved for special occasions like the Chinese Winter Solstice and weddings, as their round shape is a symbol for family togetherness. But why wait till then? These days, they’re enjoyed all-year-round and you can even get frozen ones from supermarkets to boil at home. So much food, so little time...and only one stomach to take on everything. Like it or not, the proverbial “dessert stomach” doesn’t exist, and if you want to scarf down these sweet treats without turning into a ba zhang, you’re gonna have to werk werk werk werk werk! If hitting the gym with friends only ends up in all-gossip-no-exercise, perhaps it’s time for a new fitness buddy - an electronic one. Having a smart fitness tracker like the ones from Misfit can help motivate you by showing your progress in terms of distances covered and calories burnt. Seeing your hard work pay off in numbers will have you raring to go again in no time! Worn like a watch, the new Misfit Shine 2 in Carbon Black or Rose Gold is where fashion meets functionality. Don’t like the feeling of a device encircling your wrist as you’re sweating it out? 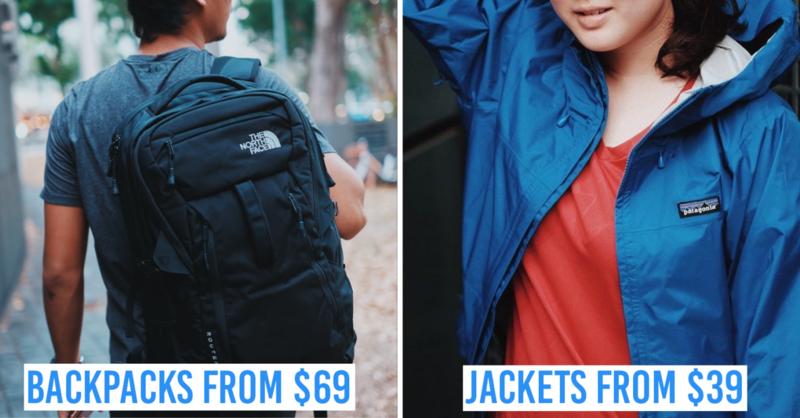 Detach the swimproof LED display disc from its straps and clip it onto your clothes. The classic Misfit Ray also looks more like arm candy than a tech device. Pick from Carbon Black, Rose Gold, Navy, Forest, Stainless Steel, and Stainless Steel Gold to suit your personality. For versatility, its sleek cylindric display can be removed from its wrist strap and threaded through a chain to be worn as a necklace - great from transitioning from the gym to work or a night out. Other than calorie loss, Misfit fitness trackers also monitor steps and sleeping patterns, as well as provide vibration alerts for call and text notifications from your smartphone. You won’t have to go through the hassle of charging it every night like how you do with your phone, because its replaceable batteries can last up to 6 months. Enjoy your favourite food without having to worry about not getting adequate exercise with the stylish Misfit Ray and Misfit Shine 2 fitness trackers. By being able to view your progress in tangible terms, you’ll be able to stay on top of your fitness routine much better. 2. 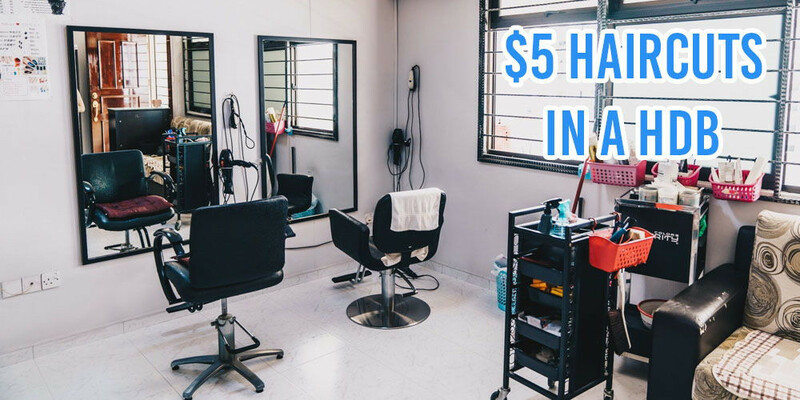 Comment below that Facebook post and tell us why you should win. This contest ends on 13 October 2016 and the most creative answers win. Good luck! 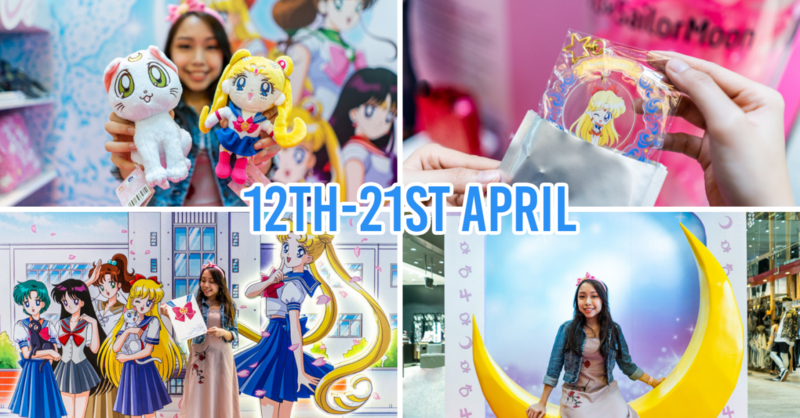 Update on 10 March 2017: This contest has ended. This post was brought to you by Misfit.